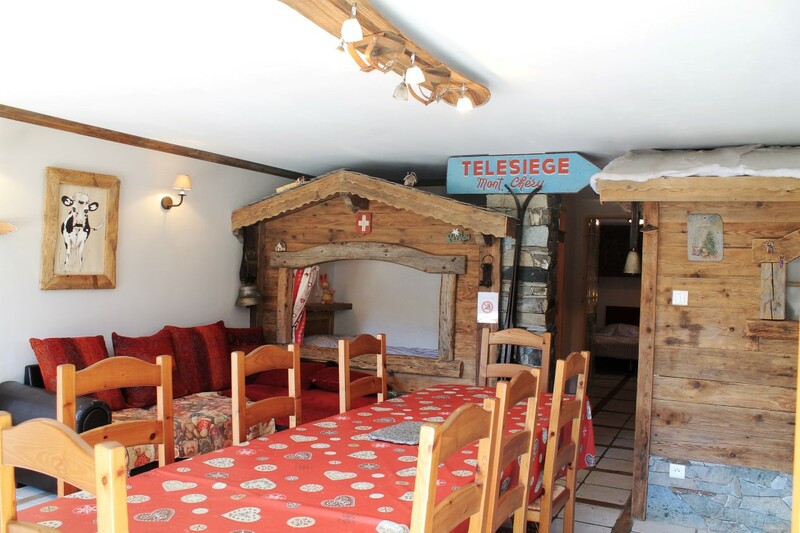 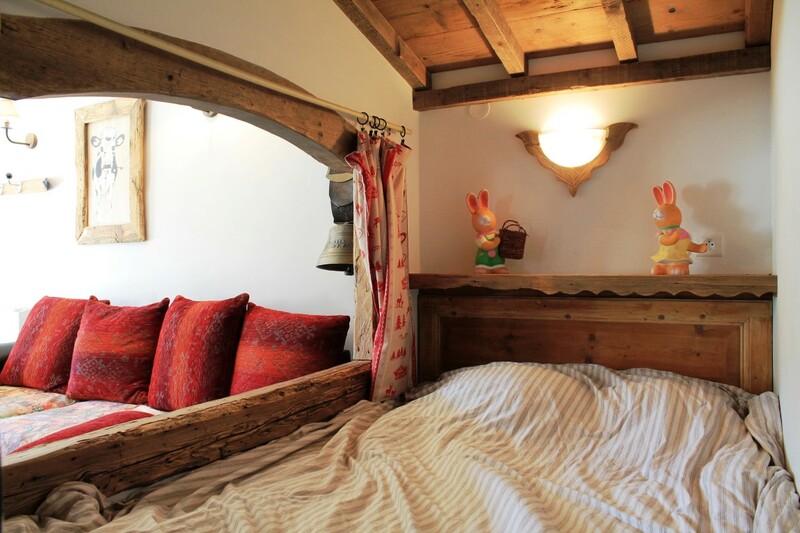 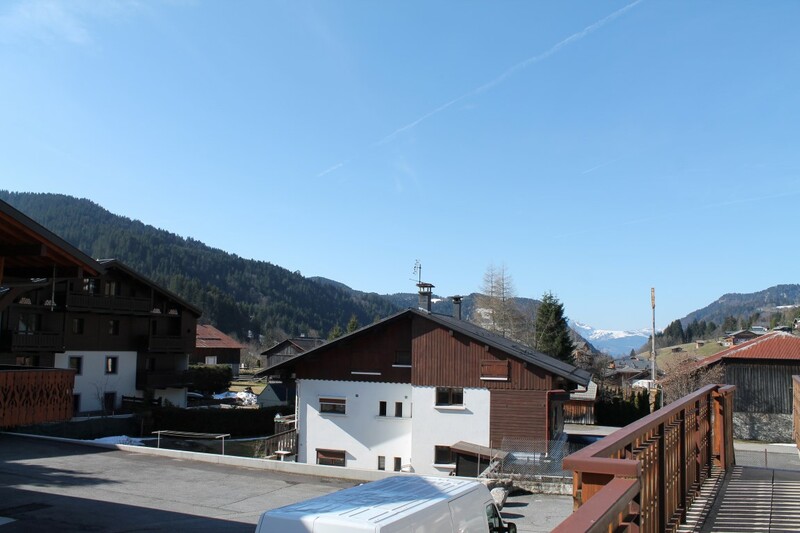 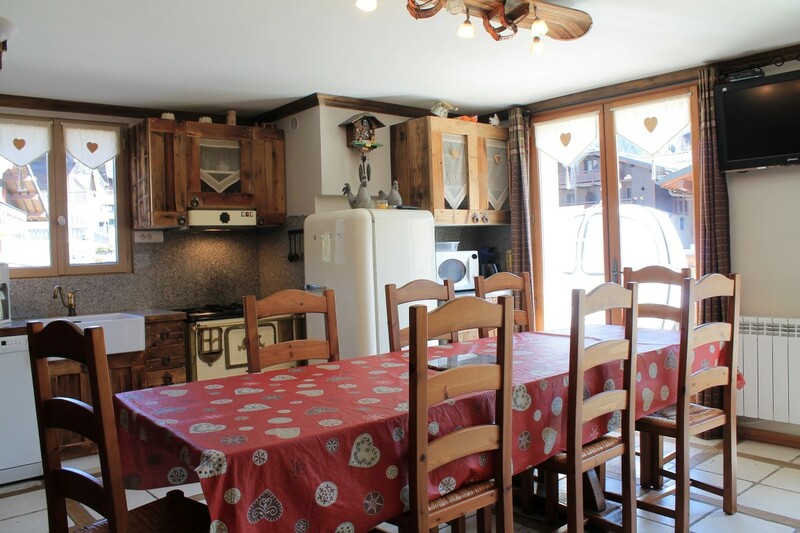 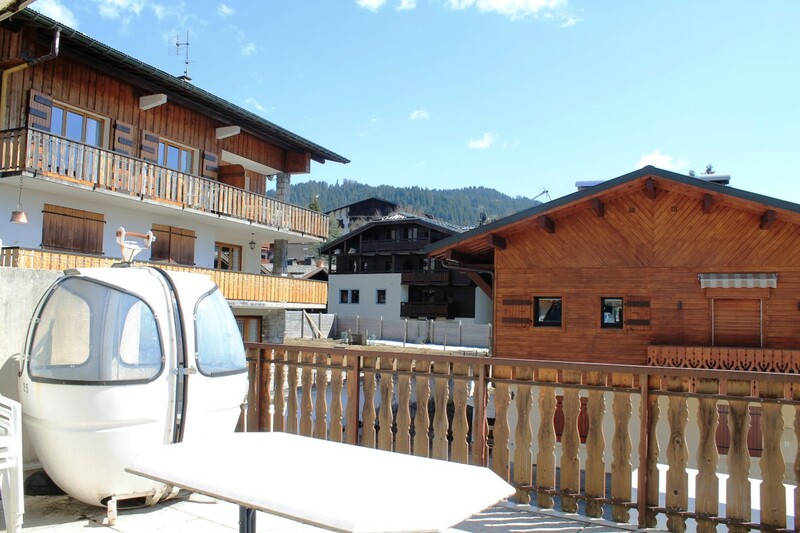 Located close to the centre of Les Gets this apartment has 2 mazot-style structures in the living room designed as sleeping areas. 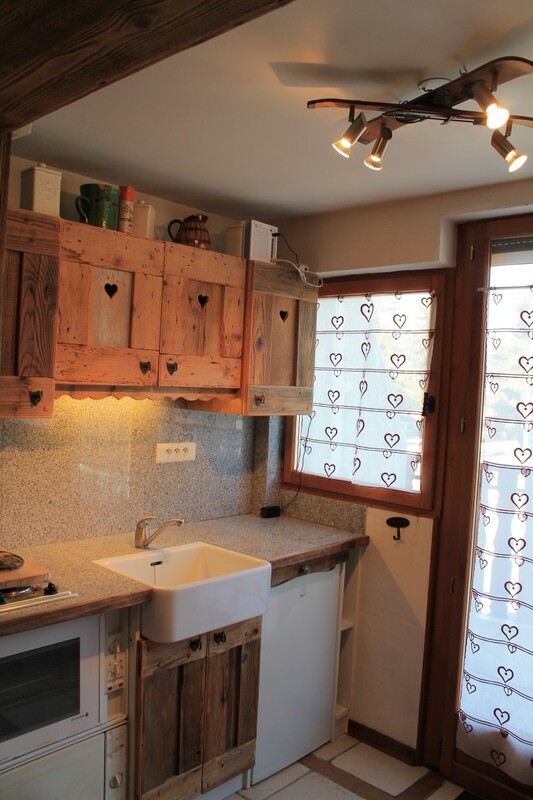 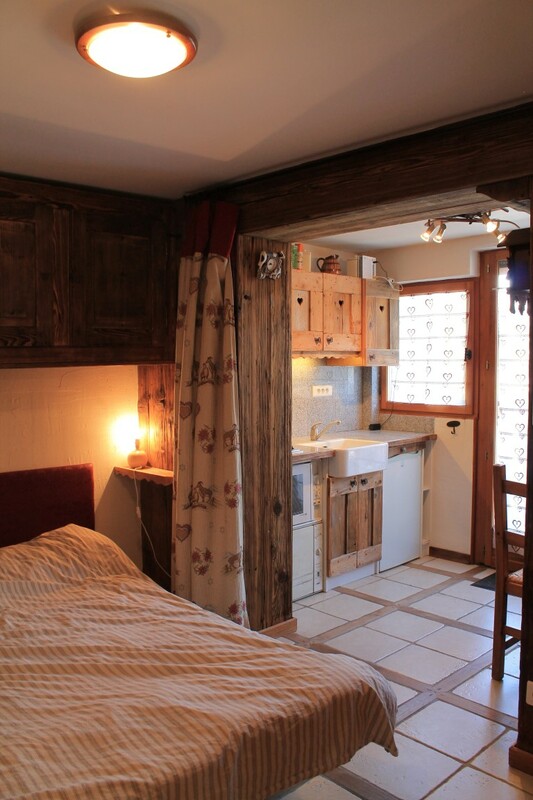 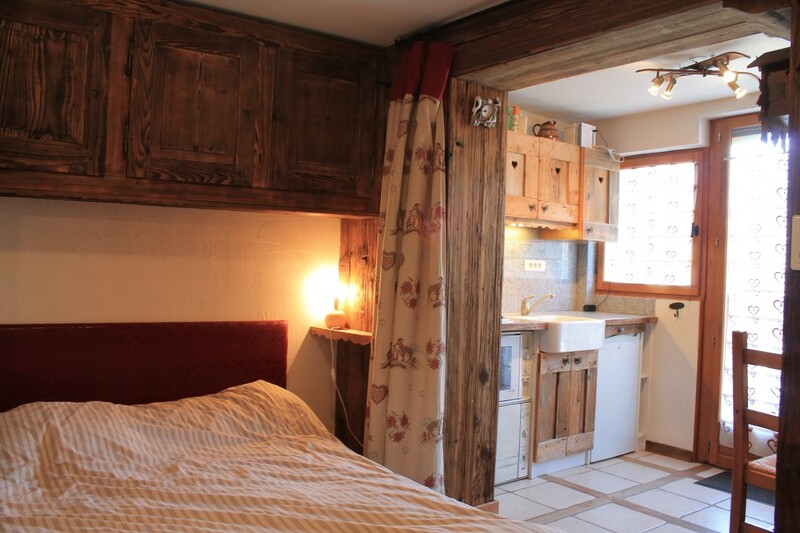 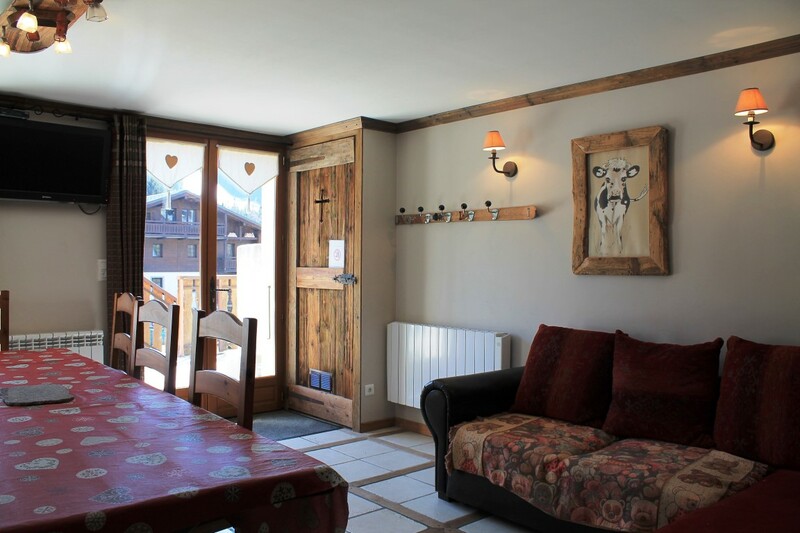 The apartment was recently renovated and is full of character and originality. 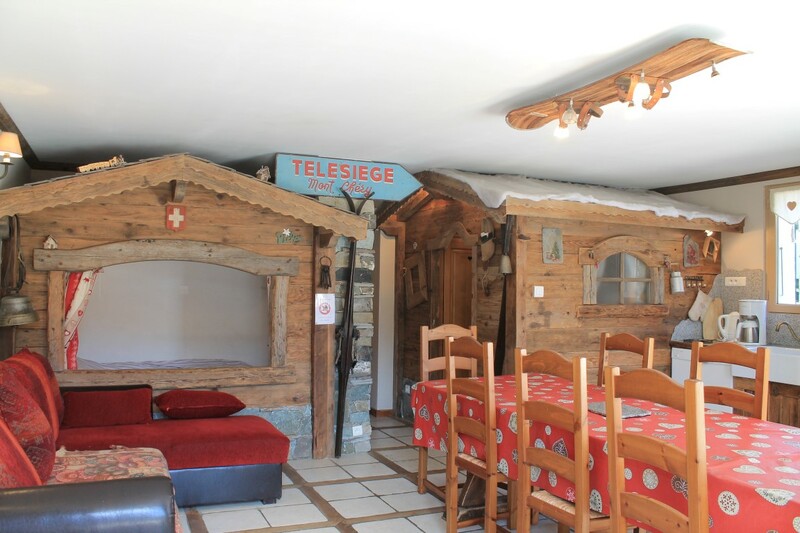 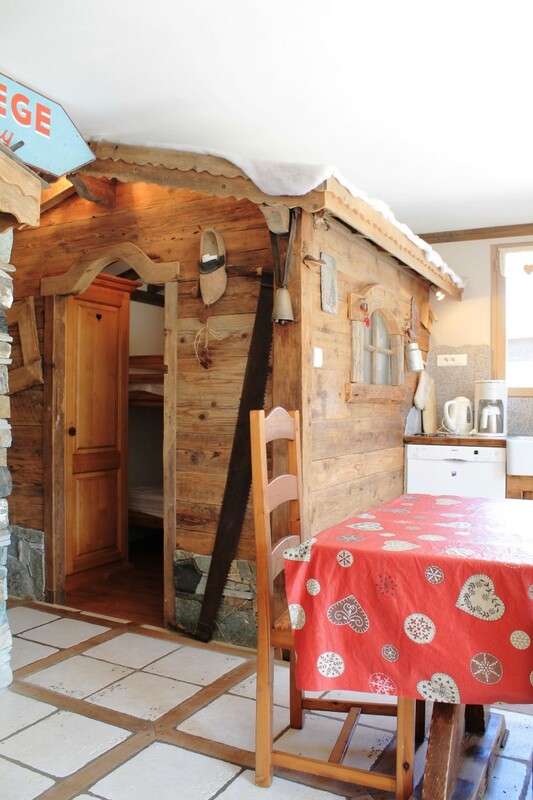 Living room full of character with two little sleeping areas housed in Alpine huts, one with bunk beds (children would love it!) 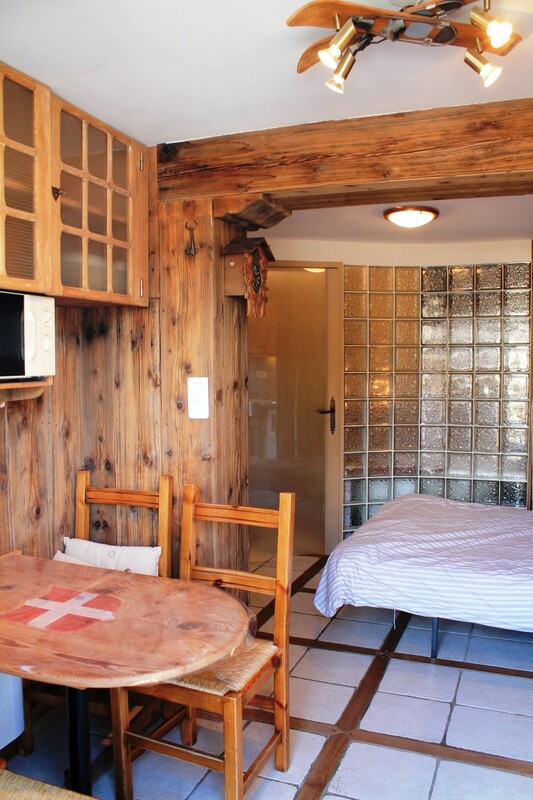 and one for a double bed, a small bedroom, a shower room with WC and a double bedroom with an ensuite bathroom, a kitchenette and access to the large terrace, making it practically a separate small studio. 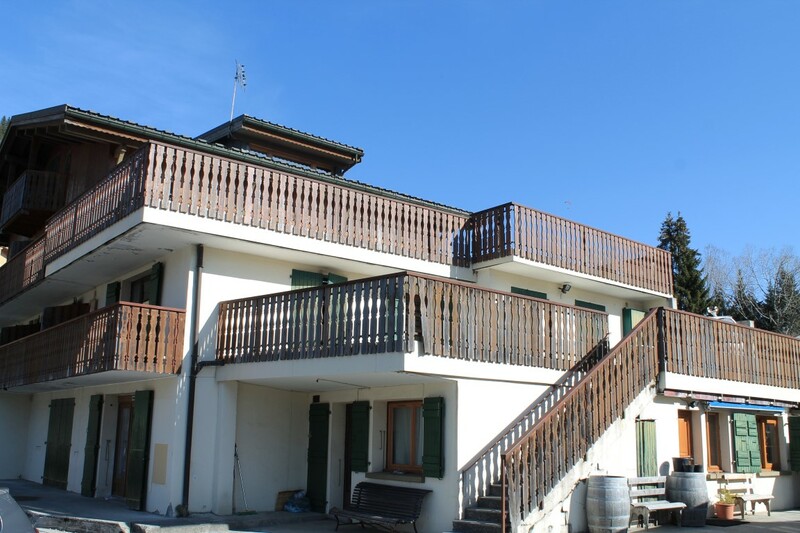 There are two large terraces, facing south and east. 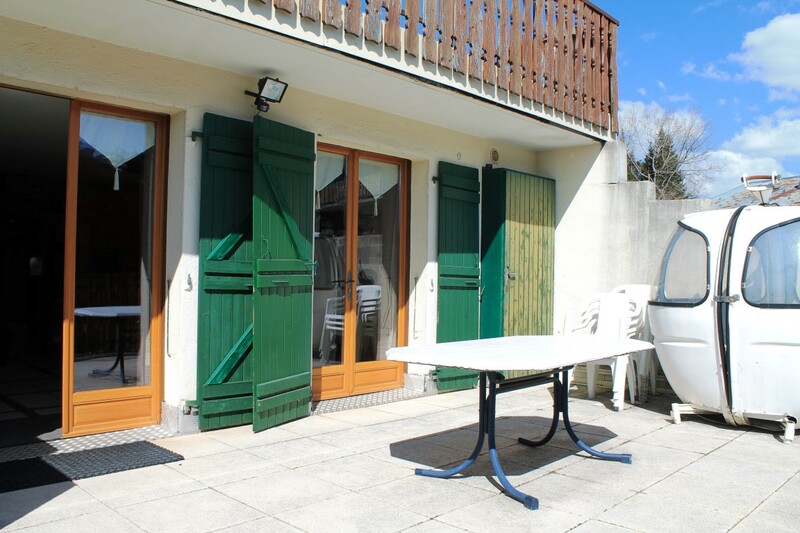 The residence has a private car park.